The road to digital migration in local television is paved with good ­intentions, vested ­interests, legal disputes and delays. In 2006, South Africa told the International Telecommunication Union it would switch from analogue to digital broadcasting by 2015 and the first digital migration policy was published by then communications minister, Ivy Matsepe-Casaburri, as far back as 2008. But five years on, the deadline is fast closing in and the delays continue. Free-to-air service providers such as e.tv and the SABC were expected to be responsible for the management of set-top boxes, the decoding devices that are an interim measure to decode or translate the new digital signal so that it can be viewed on analogue TV sets. Set-top boxes will have to be provided to all households in South Africa that have analogue television sets so that people can watch tele­vision after the migration to digital. However, once analogue televisions are phased out, the boxes will become redundant. It is estimated that 8m households use analogue and the government has committed to subsidising 5m set-top boxes for which a manufacturer and software vendor must be selected. 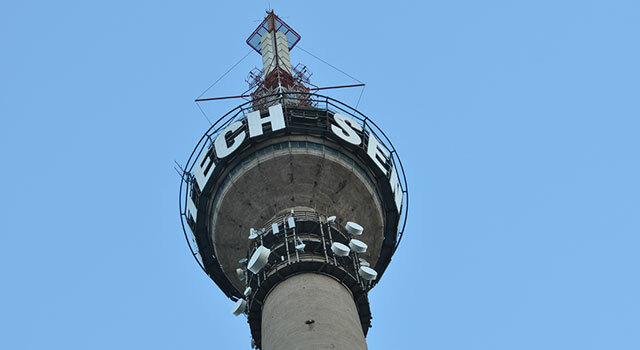 But in May last year, communications minister Dina Pule announced that state-owned Sentech, the signal distributor for the South African broadcasting sector, and not free-to-air broadcasters, would be responsible for the control of conditional access. Conditional access is the technology used to control entry to digital television to authorised users and is commonly used by pay-TV services such as DStv. Swiss software vendor Nagravision was expected to be the conditional access provider as it has an existing relationship with Sentech. But e.tv took Pule to court over the matter to argue that it and the SABC had the right and duty to manage and implement the control system in terms of their licences, and that they had both long ago reached agreement on their joint management of set-top-box control. The court ruling placed responsibility for the management of conditional access firmly back in the hands of free-to-air broadcasters. Pule lodged an appeal, but withdrew it last month so that the digital migration process would not be further delayed. On 3 March, however, the Sunday Times revealed that Pule’s boyfriend had ties to Nagravision, suggesting an improper motive for wanting Sentech to control conditional access. The report claimed that Rudy Rashama, who runs the local partner company for Nagravision, was also a business partner of Phosane Mnqibisa, Pule’s boyfriend. Rashama, however, told the publication that these links no longer existed. He did not respond to the Mail & Guardian’s requests for comment. Pule told the Sunday Times the accusations were part of a “politically motivated smear campaign”. The SABC and e.tv’s preferred software provider is NDS, which, according to the Sunday Times, offered the most competitive bid in a formal ­tender process. NDS provided On Digital Media with the technology to launch its pay-TV platform TopTV, but its local partner has been kept secret. The company told the M&G it was “unfortunately not in a position to provide comment on any dealings with third-party organisations”. Although the need for conditional access was agreed on years ago on Matsepe-Casaburri’s watch, it has remained a hotly debated issue. Detractors say the “unnecessary” conditional access function could push the price of a set-top box up by US$21. Proponents of the system argue that it will cost far less than that and will allow free-to-air broadcasters to offer a better viewing experience and allow them to compete with pay-TV services for advertising. In its legal application, e.tv said conditional access was needed to maintain standards and to prevent non-compliant set-top boxes from receiving a signal. If this did not happen, the standards set for digital transmission would be compromised. 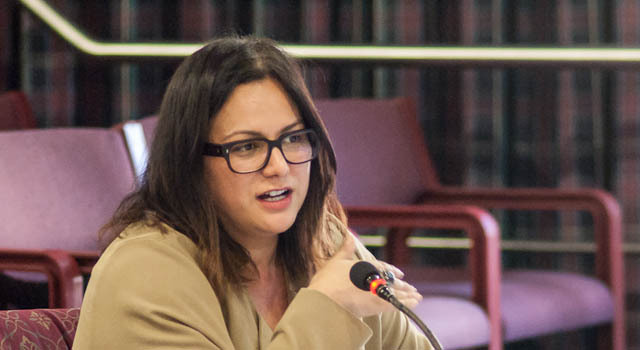 Bronwyn Keene-Young, e.tv’s chief operating officer, said maintaining standards was extremely important. She said it was critical that the new free-to-air platform was strong “in order to prevent further losses of audience and revenue to DStv” , and that set-top box control was a critical component of ensuring this. Keene-Young also said the ability to turn the set-top box on and off would prevent the use of stolen boxes as well as their unlawful export. The department of communications said the conditional access function would also enable online government services and an early warning mass-messaging system in the event of a natural disaster such as floods. Keith Thabo, the president of the National Association of Manufacturers in Electronics Components (Namec), said the introduction of conditional access would stunt national growth, starting with an added $21 cost to manufacture the set-top boxes. Namec Holdings, a private company, is one of 36 bidders to manufacture the boxes. Namec said the inclusion of conditional access was a barrier to entry into the market for emerging black manufacturers because they would need to be accredited by the conditional-access vendor before they could produce set-top boxes that incorporated the blocking software. Thabo said the accreditation process to use Nagravision’s software could take up to two years and cost about R200 000. He said the added costs associated with conditional access would be passed on to the consumer. In addition, conditional access vendors would charge ongoing royalties and there would be costs associated with running call centres and remotely turning the access function on and off. Over a five-year period, this would increase the cost of each set-top box by $43, Thabo said. However, the communications department told the M&G the cost of adding the control-access function to a set-top box was estimated at only $2 and was a once-off amount. Keene-Young said the financial costs would be borne by the broadcasters and would have a minimal effect on the cost of set-top boxes. One of the reasons why e.tv went to court over the set-top box control issue was precisely because it was unaware what agreements Sentech had reached with its conditional access provider concerning the cost of set-top box control for broadcasters and consumers. Karen Willenberg, the director of regulatory and legal affairs at M-Net, said the primary purpose of conditional access software was to cut customers off when they did not pay their account. Willenberg said the United Kingdom’s Freeview DTT [digital terrestrial television]service, arguably one of the most successful platforms in the world, operated without any conditional access or set-top-box controls, as did most other free-to-air platforms around the world. And they did this by making the box as affordable as possible and adding new and exciting channels. Willenberg said M-Net was frustrated by the debate as the delay meant that the communication minister had not been able to gazette the performance period, which meant M-Net’s analogue terrestrial service could not commence its migration from analogue to digital signal. Will e.tv no longer be free tv? Critics of the addition of conditional access to set-top boxes have questioned whether e.tv plans to become a pay-TV station. 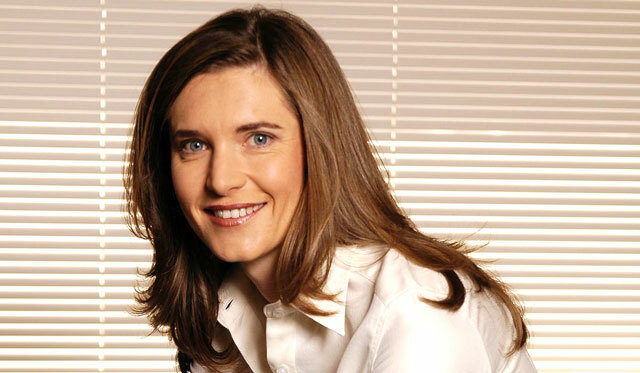 But Keene-Young said it was the SABC that first mooted the idea of set-top box control and conditional access in 2008, and the SABC had encouraged e.tv to support the principle. Keene-Young said the launch of a free-to-air digital terrestrial television platform had affected the growth of pay-TV operators around the world and it was in the interests of the pay-TV incumbent to ensure that the free-to-air offering was as weak as possible. She said the SABC agreed that set-top boxes were crucial to the success of the new platform and had “assured e.tv that its management and board remain committed to conditional access of the type necessary for set-top box control”. However, the M&G has a copy of a letter, dated January 30, from then acting chief operating officer, Hlaudi Motsoeneng, addressed to a Mr Phiri at the communications department — presumably Themba Phiri, the deputy director-general — informing the department that the SABC wished to exclude the conditional access functionality from set-top boxes, which would be used “to switch off TV licence holders upon failure to pay their TV licences [and that]the SABC strongly believes that conditional access will violate its public broadcasting mandate”. On 25 February, the SABC board decided to release Motsoeneng from his responsibilities with immediate effect. Reports followed that he had been reinstated, but on Tuesday the SABC reported that the decision to terminate his tenure “remains in place”.